I bet that most inhabitants of Playa del Carmen haven’t a clue, that they live in a town, that was inhabited by ancient Mayas during the post-classical era. 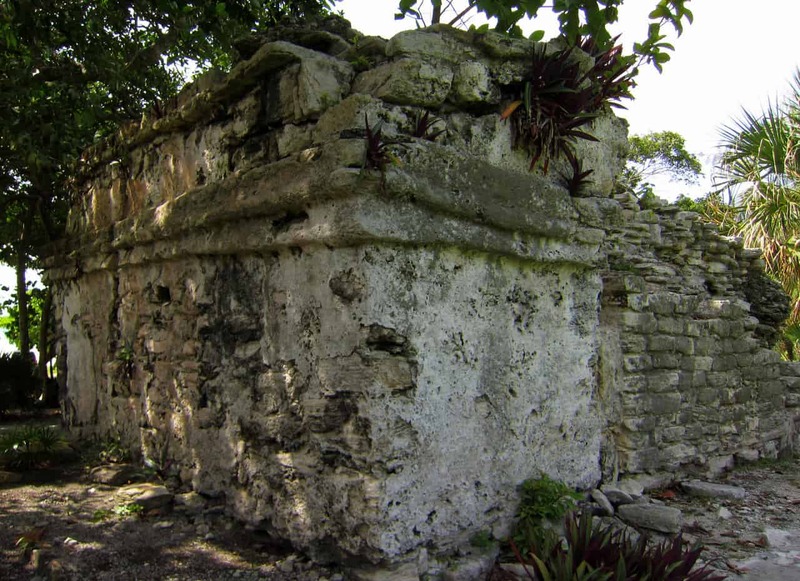 The amount of tourist who stay in Playa del Carmen during their vacation but never visit the small temple ruins of Xaman-Ha might be nearly 100%. I agree that the site is very small and the buildings are tiny, but it is still a good place for a photo shooting. 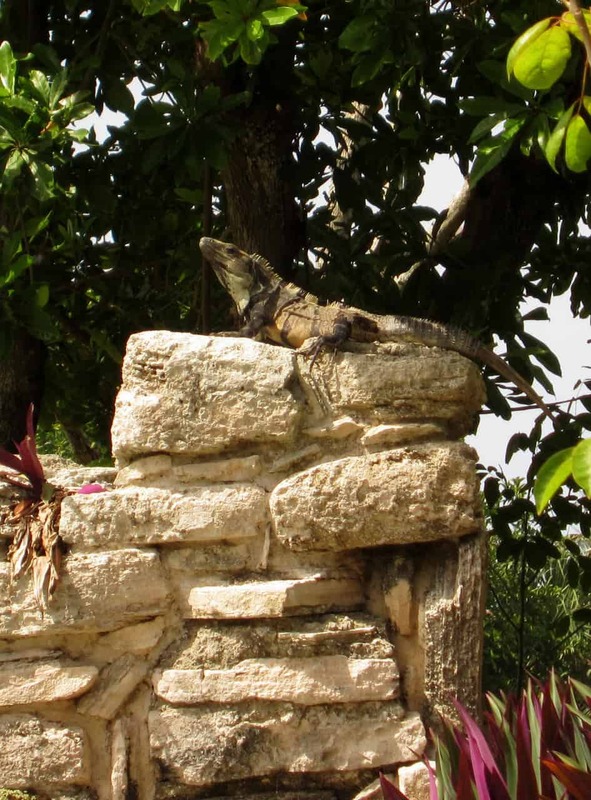 Especially if you like Iguanas, because a small population of Iguanas who is living there might be the only kind of creature that you will meet there. The distance from the ferries is not more then 300 meters. You can walk south along the beach or use the street “Bahia del Spiritu Santo” to get there. 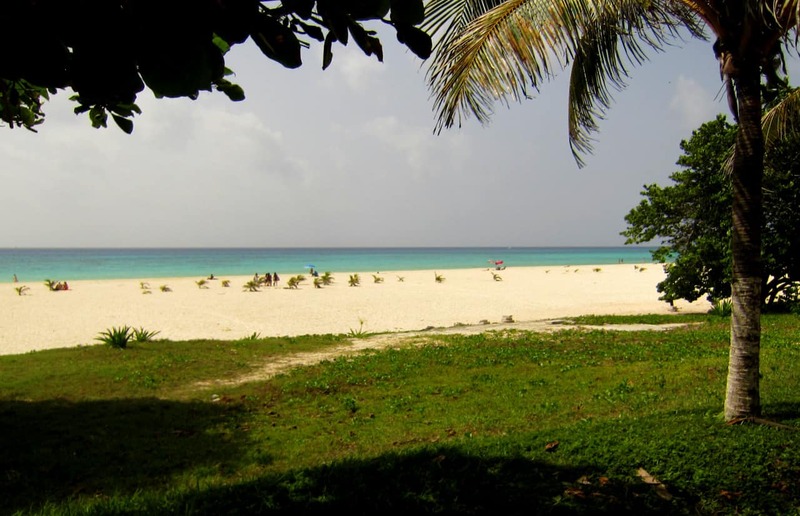 The beach is so near that you can combine your archaeological trip with a visit of the nice Caribbean beach there. If you want to take some photos of the temple ruins, then I recommend to use the early morning due to the better sunlight. The remaining buildings, ruins and temples including the plants and animals around might give you some kind of feeling how the area looked like before the tourists arrived. 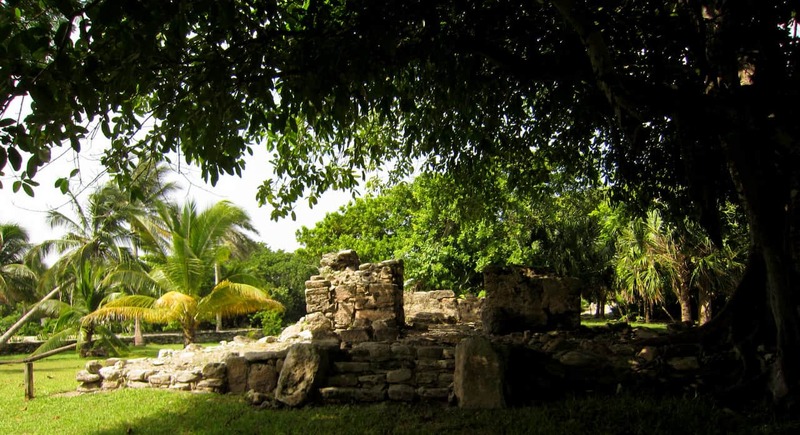 The ruins of Xaman-Ha are located in a small parc area directly beside the beach. 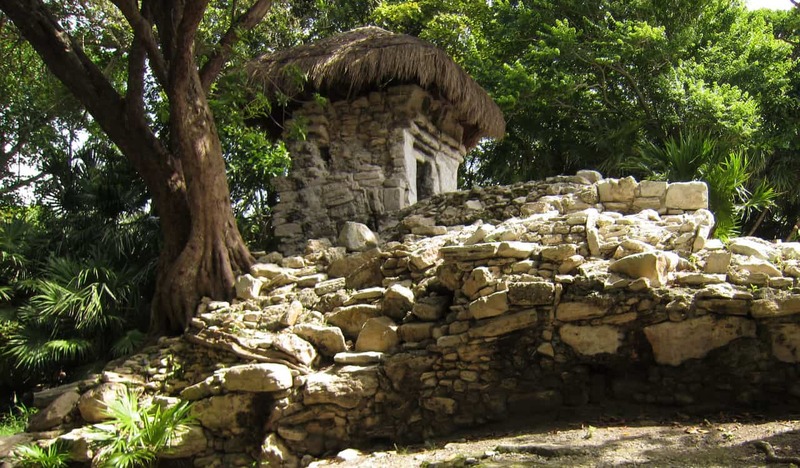 In historical time Xaman-Ha was a part of the Mayan principality of Ecab. 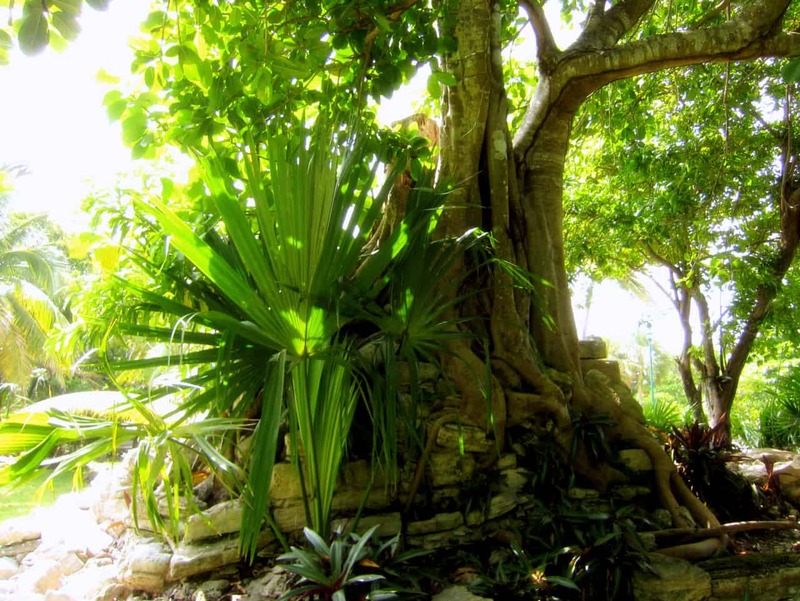 From here the canoes of Maya pilgrims to the sanctuaries of the goddess of fertility named Ixchel at Cozumel did depart. 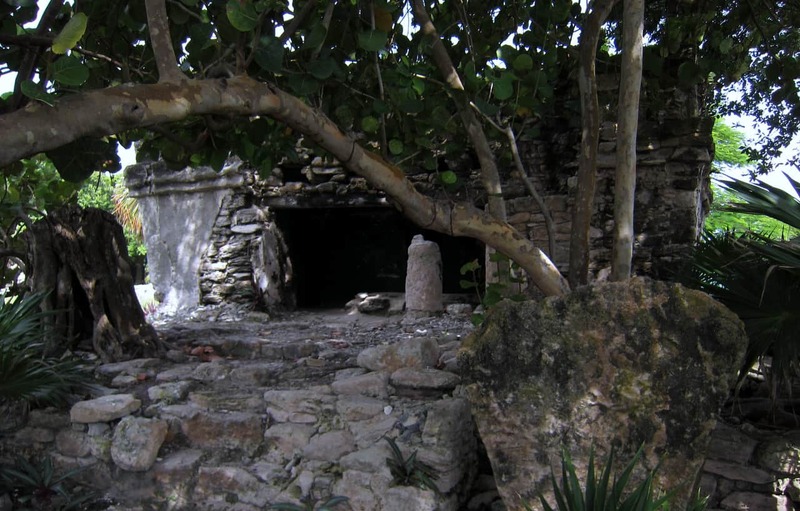 Due to this fact it is assumed, that Xaman-Ha was a sanctuary for Ixchel too. 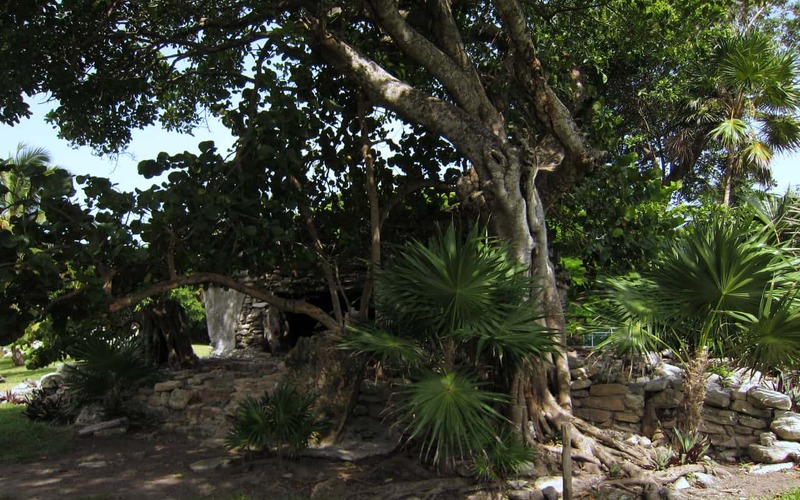 (See also: >>> Pilgrimage to Ixchel). 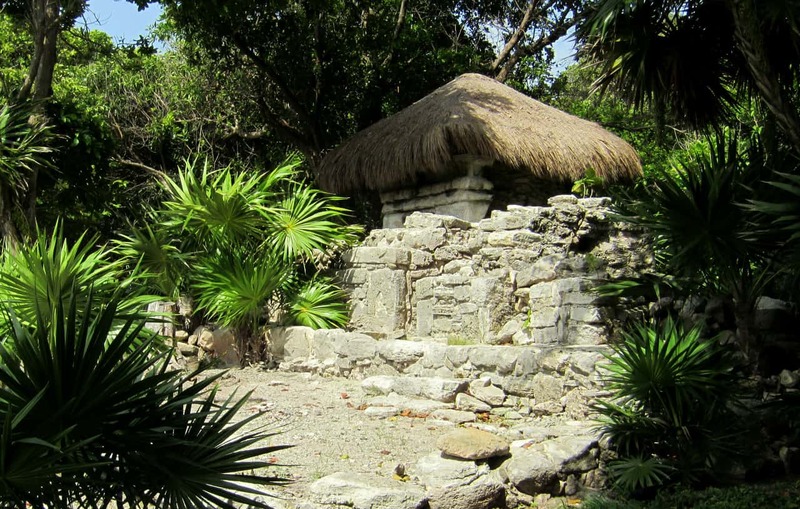 During the Conquista of Yucatán Spanish troops founded a garrison at this place named Salamancar of Xaman-Ha, but left it after a short time. The name of this Maya site, Xaman-Há, menas “Northern Water” in Mayathan, the language of the Maya people there. 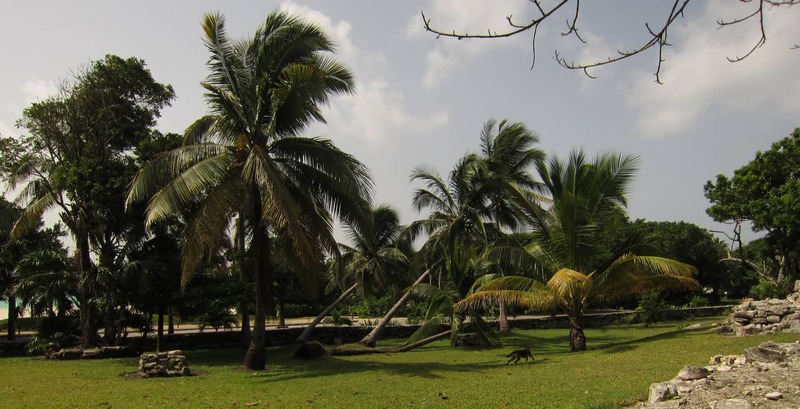 For a long time, the area of Playa del Carmen was nearly inhabited. 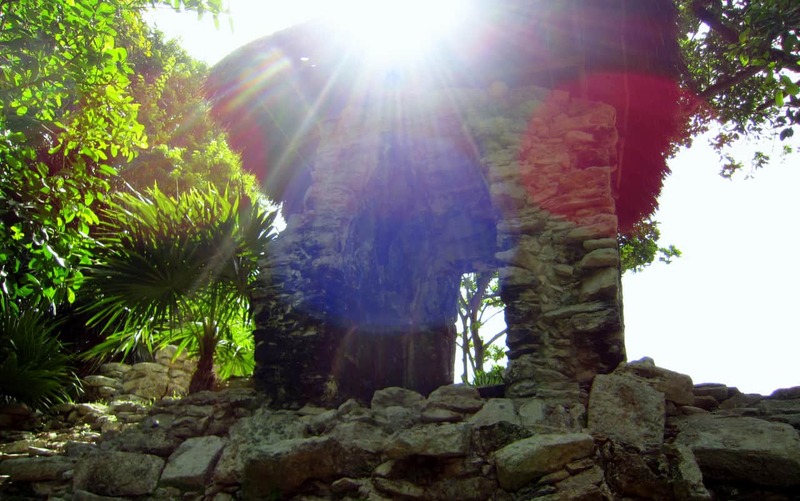 In 1970 the village of Playa del Carmen had 300 inhabitants living from fishing. The only purpose of the place at this time was the landing point for ferries from and to Cozumel. Meanwhile, 45 years later, the town has grown immensely. More then 200.000 people are living there. 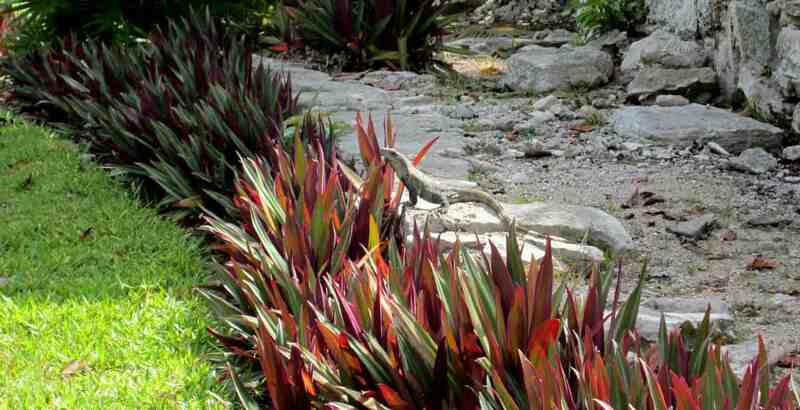 Playa del Carmen has the highest growth rate regarding the number of inhabitants in México. All fotos were taken in August 2012. 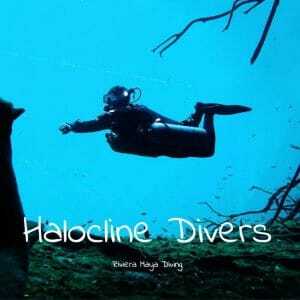 Every week in Playa Del Carmen there is a phenomenon at Chez Celine Restaurant. It is full of people,especially for breakfast. Why is this so? We set out to find out what makes this restaurant so popular. ATMOSPHERE. You will feel as if you were in a nice street café in Paris with seating outside on the shaded patio or in the air-conditioned interior.